This great midsleeper bed makes the most of the space in your little ones bedroom. The underbed clearance is 69cm and can be used as an exciting play area and even squeeze in some extra storage too. 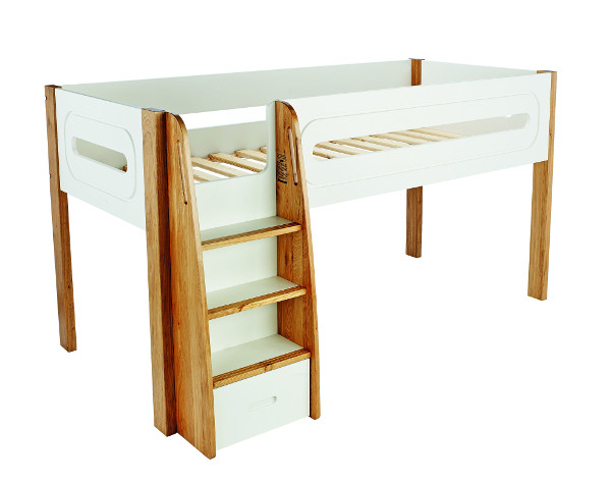 This Midsleeper has a white and oak finish with smooth edges that are practical and perfect for children. Constructed from MDF and oak to offer durable quality. Includes Curve Midsleeper Bed Frame. Takes a continental 900x2000mm mattress- please see our range of Stompa mattreses available to purchase separately.